High Temperature Graphite Paste/Lubricant | Superior Industries, Inc.
0°F (-18°C) to + 450°F (232°C). At the top of all Graphite Paste Lubricants/Graphite Anti-Seize Products, GPL-420 contains the purest Graphite available and is compounded using the most technically advanced ingredients. 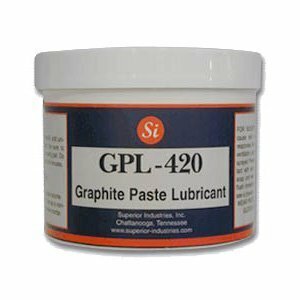 GPL-420 is a technical grade Graphite Lubricating Paste that has an extremely low coefficient of friction. It is dark grey in appearance and has a consistency of paste and can be applied by brush or spatula. The atomic make up of Graphite, a derivative of carbon contains flat sheets of hexagonal crystal platelets which slide over each other providing excellent lubrication. This product is an excellent conductor of electricity. Graphite is one of the most stable forms of carbon and can be considered extremely efficient for many types of lubrication . GPL-420 has proven to be the product of choice for lubricating Planter Plates. These mechanisms operate at a very high speed and GPL-420 prevents excessive wear and costly replacement. This multi-purpose extreme pressure grease/paste contains pure graphite. 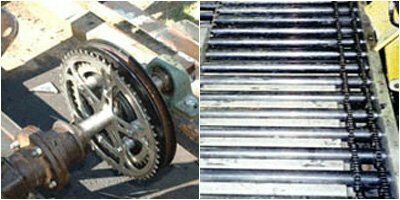 GPL-420 has excellent adhesion to all types of metal surfaces and contains special additives which inhibit rust and corrosion. This paste is excellent for application on surfaces exposed to oil. GPL- 420 is compounded with premium base oils, dry film lubricants and non melt thickeners to provide excellent anti wear resistance. This paste offers maximum protection for expensive machinery. 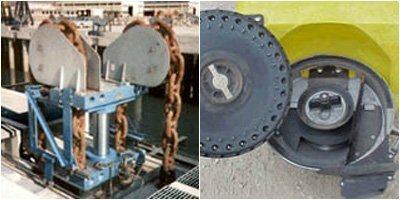 GPL-420 protects against seizing, galling, and corrosion. This paste is excellent for harsh outdoor environments such as offshore oil drilling platforms. GPL-420 is great for use in both low and high temperature applications and is used in all types of industries including construction and mining. It is effective as a protective coating from -297°F (-183°C) to +1400°F (760°C) and as a bearing lubricant 0°F (-18°C) to + 450°F (232°C). Regular use of GPL-420 will make assembly and disassembly of equipment easier and reduces expensive down time. GPL-420 offers superior resistance to salt water washout. By providing both high and low load carrying capacities, GPL-420 offers extended life to parts and equipment under moderate loads and/or moderate speeds. As a result GPL-420 can significantly extend the operating life of parts and equipment. GPL-420 can be used on bushings, flanges, gaskets, bearings, screws, keyways, slides, journals, sprockets, gears, nuts, bolts, pipe threads, drills, cams, chains, taps, valves, valve stems, studs, wire rope and shafts as well as complex locks. This high quality graphite paste has proven to be the product of choice for specialty lubrication requirements in the industrial, agricultural, construction, oil field, mining and marine industries. This product should NOT be used in oxygen service.